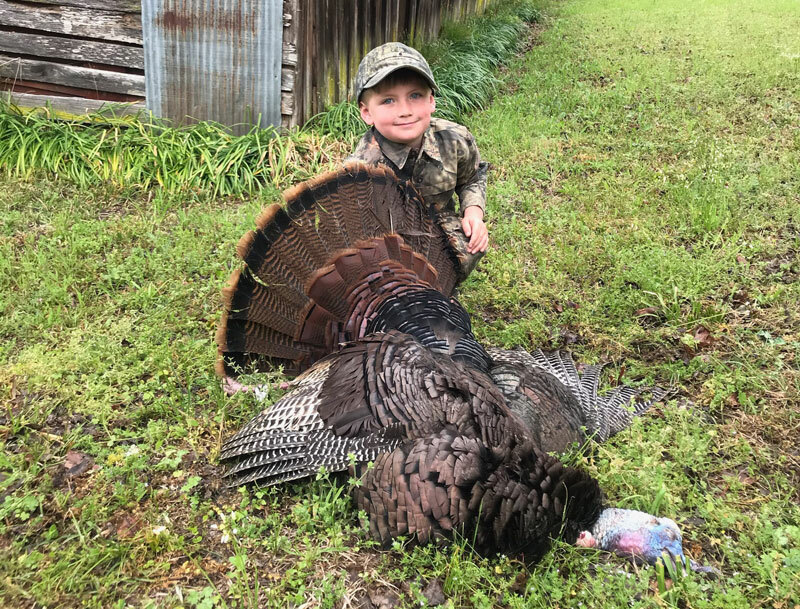 Five-year-old Hayden Johnson’s grandpa and dad recently brought him turkey hunting on their club in Jackson Parish. And even though it was the first time little Hayden ever went turkey hunting, that didn’t stop him from hitting a fully plumed, wily tom squarely in the neck from 25 yards away. 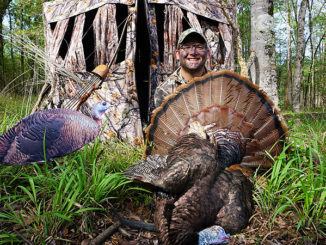 Michael scouted out the area every day the week before the big hunt and found where a big tom was roosting. 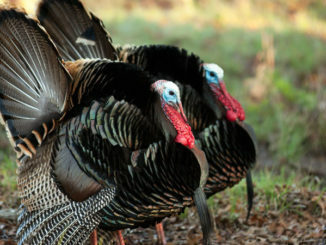 When the time came the three-generation trio went out to a blind Michael set up 400-600 yards from the turkey’s roost. Sure enough, at six o’clock in the morning, the gobbler started gobbling and didn’t stop as Michael convinced him to come down from his perch. At this point, the tom became enamored with some hens near his roost. 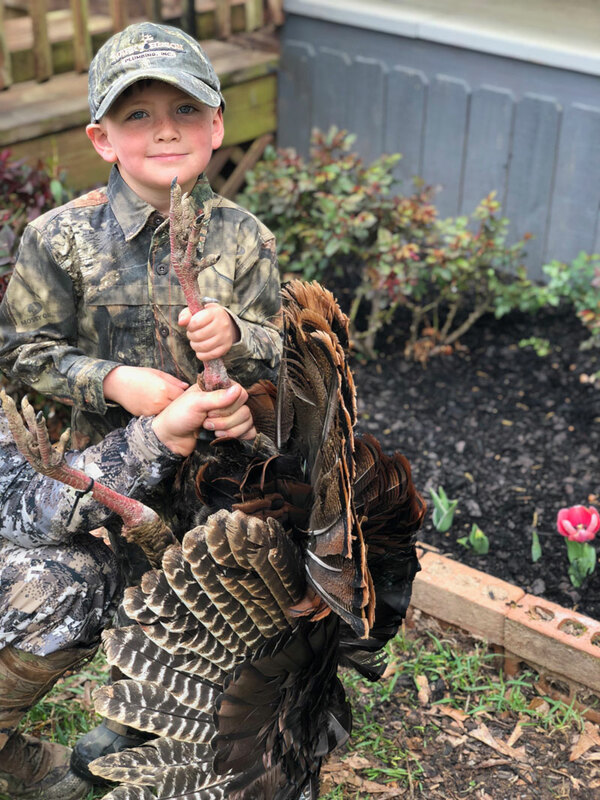 “He stopped gobbling for about 30 minutes, me and Hayden were just sitting there talking for a while… I told him that it was okay if we didn’t get anything.” Michael said. But soon after things were moving in the right direction. 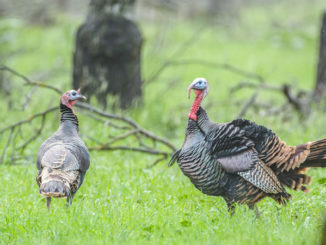 Soon after the last gobble, the tom strutted up to within 25 yards away and Hayden was told to get ready. This was an extremely proud moment for all involved, congratulations to Hayden for the successful hunt.